Travis Kalanick keeps defying rules of the road to grow his $40 bln ride-hailing app. Drivers are taking his cues, refusing riders with undesirable destinations and suing to become employees with benefits rather than contractors. Uber’s culture could yet come back to hurt it. A phone running the Uber application is held above the traffic in central Bangkok December 10, 2014. 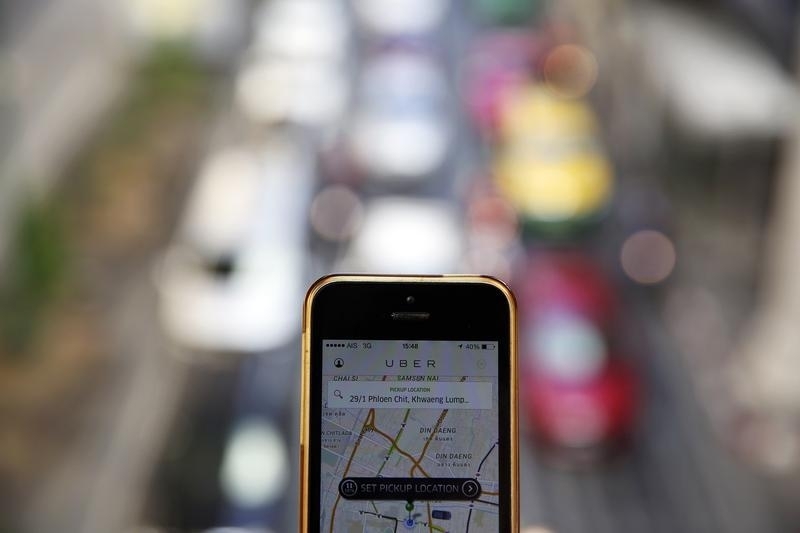 A U.S. district judge on March 11 concluded that a decision about whether Uber drivers are independent contractors or employees “presents a mixed question of law and fact that must typically be resolved by a jury,” and denied the ride-hailing company’s request for summary judgment. Separately, analysts at Piper Jaffray forecast that Uber would generate $68.4 billion in “gross revenue” by 2020, or about $13.7 billion of net revenue. Last year, the company earned gross revenue of $625 million and $125 million in net revenue. In December, Uber raised $1.2 billion in financing, which valued the company at about $40 billion.